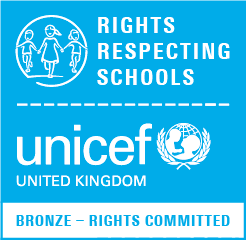 The Rights Respecting School Award is an award run by UNICEF, working with schools to make the rights of young people more demonstrated in schools around the country. It puts the United Nations Convention on the Rights of the Child (UNCRC) into practice, educating young people on the rights that they’ve had since birth up until they’re 18. Over 4,500 schools are currently involved. 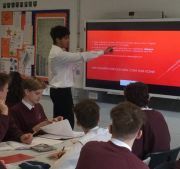 Presently, Calthorpe Park has taken an active involvement in this award by dedicating citizenship days in both Year 7 and Year 8 to it and by raising awareness of rights through tutor time activities, lessons in Year 9 and 10 Community Cohesion, and assemblies. Currently, we as a school are ‘Bronze Committed’ to the award and are hoping to achieve our ‘Silver Rights Aware’ award later this year. Calthorpe Park is currently working towards the second stage of the Rights Respecting Schools Aware, Silver: Rights Aware. The work completed by Year 7 showed great maturity and understanding of rights. In October, Year 7 and 8 students took part in a Rights Respecting morning where lots of rights based activities were completed. The morning began with an assembly about the UNCRC and what the day would entail. Groups then headed off to their respective areas for the day and the first activity on ‘Wants and Needs’ was completed. Each student was given a copy of the UNCRC to read and refer to throughout the day. They also took part in a ‘Rights in Action’ activity where they created different symbols based on rights found in a mini ‘scavenger hunt’ that they put onto a ginger bread person. They also made charters that demonstrated what rights they have here in school and how we should respect them. REaL3 is a group that runs every Friday from 3-4pm to discuss events both in school and out of it, mainly to discuss how the school can better integrate the UNCRC into daily life. REaL3 stands for: Rights, Respect, and Responsibility in Education and Learning. If your child has been involved with the Halloween Disco, Fairtrade, the Christmas Fair or The Week of Change, that’s us! Each year we encourage students to take the lead in their classrooms and this year, during 5th to 9th March, many ‘student teachers’ took part in our annual week of change. REaL3 chose articles from the UNCRC to highlight all week with activities to take place to raise awareness of children’s rights. Rights included this year were Article 42, 38, 31, 30 and 28. The most popular event of the week of change is the student teacher swap event to help raise awareness of the right to an education (Article 28). 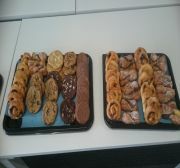 To celebrate their efforts, the student teachers involved were rewarded with a ‘staff room style’ extended break time on 22 March. Whilst enjoying their goodies and drinks, they reflected on their experience and said they thoroughly enjoyed teaching even if it was, to use one of their words, ‘tough’. On 20th November Calthorpe Park acknowledged World Children’s day with activities in tutor time and in lessons. Students from our Rights Respecting group REaL3 made the PowerPoint of activities as well as blue paper chains that were hung in the old reception area as a way to acknowledge the UNICEF #GoBlue initiative. The activities included: poems written by children, the story of a young Syrian girl and what she wishes for all children, as well as some videos to raise awareness of the United Nations Convention on the Rights of the Child including an inspirational speech from Malala Yousafzai. Five blue balloons were also placed in the old reception area to acknowledge the five rights from the UNCRC that are included in the student diary that link to the Calthorpe Way. 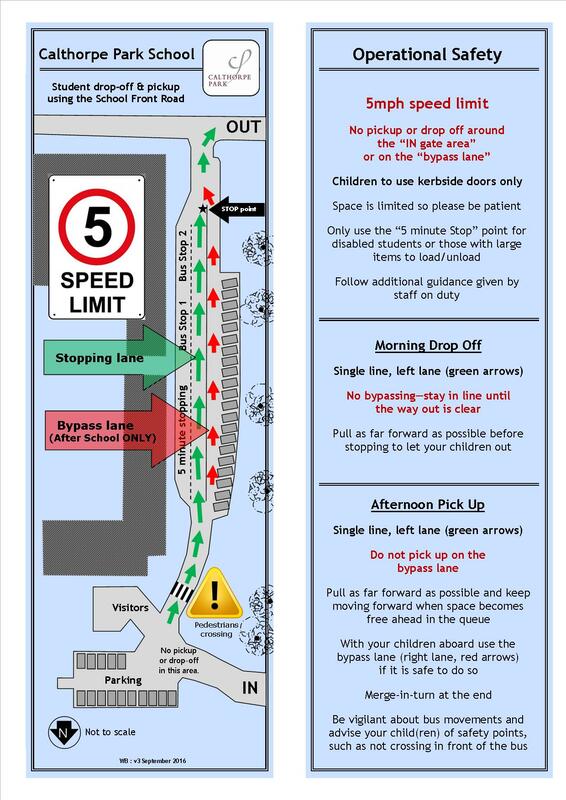 These are the rights that we feel are most important here at school. They are: Article 2 (non-discrimination), Article 12 (respect for the views of the child), Article 28 (right to an education), Article 29, (goals of education) and Article 19 (protection from violence, abuse and neglect).